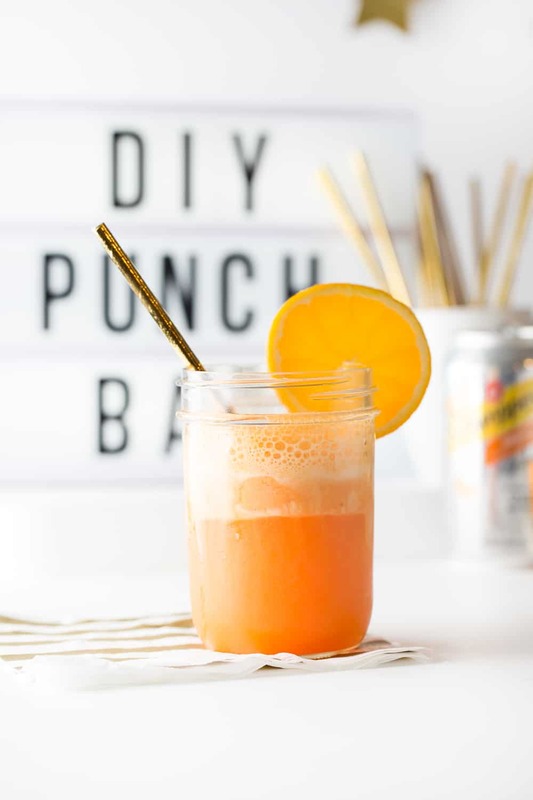 DIY Sherbet Punch Bar - Perfect Holiday Drink Idea! 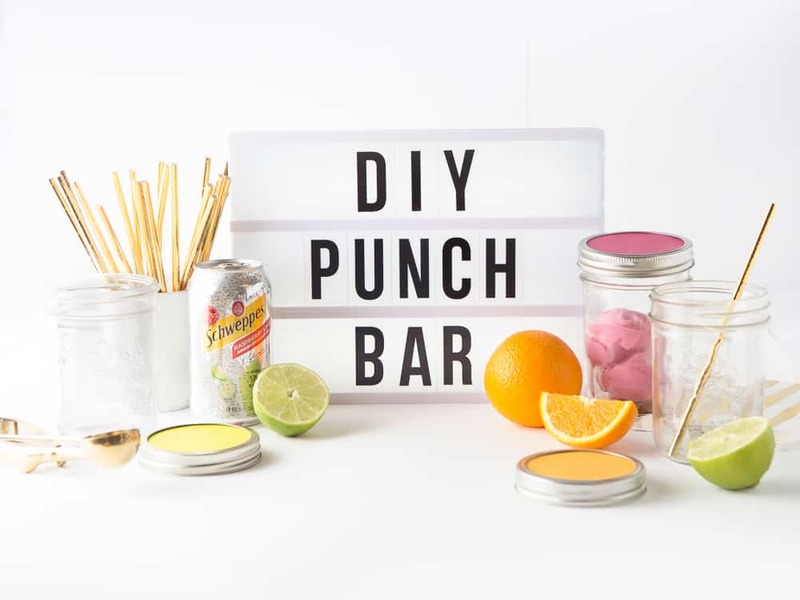 DIY Sherbet Punch Bar + Video! After a busy year, the last thing I usually want to be doing during the holidays is making elaborate recipes and dirtying a bunch of dishes. This year has been a demanding (yet amazing) one with the business and while I like to think I’ll be fairy-dusting the kitchen with fancy desserts, the truth is that I’ll probably end up baking our annual cookies and saving the rest of the homemaking for our family Christmas Eve dinner and snack night. Now that all my siblings are grown up and in college, our Christmas Eve festivities look a bit different than they used to. Where the anticipation of opening gifts used to be the highlight of the night, these days we’re more about the little smokies and sherbet punch. 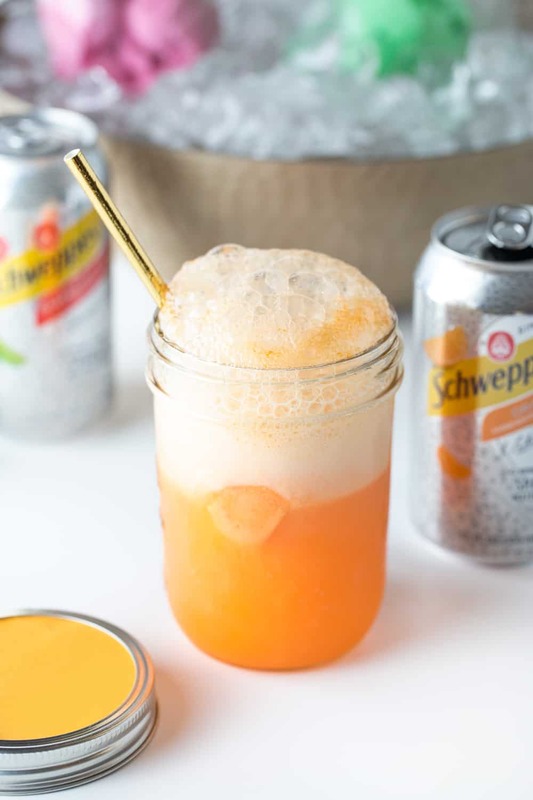 It’s been a tradition in my family to make sherbet punch every year for the holidays so this year I’m taking the level of sophistication up a notch and switching out the soda for different flavors of Schweppes Sparkling Water to create the ultimate DIY punch bar! 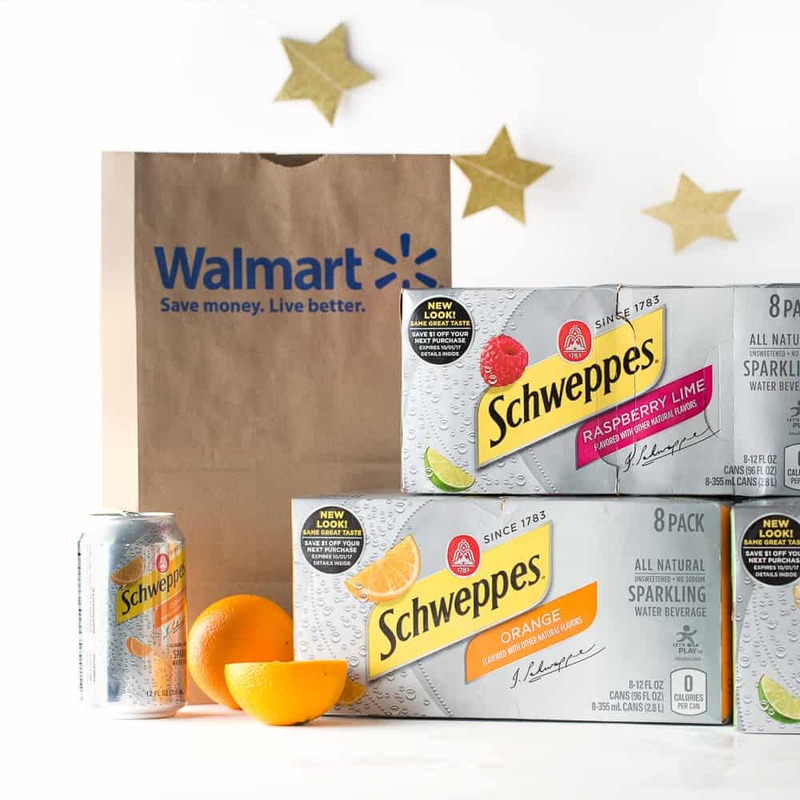 Schweppes Sparkling Water is now available at Walmart (right now you’ll find it near the seasonal end caps at Walmart), so you can buzz on over to pick up a few 8 packs and sherbet punch while you’re shopping for the other hors d’oeuvres and holiday snacks. 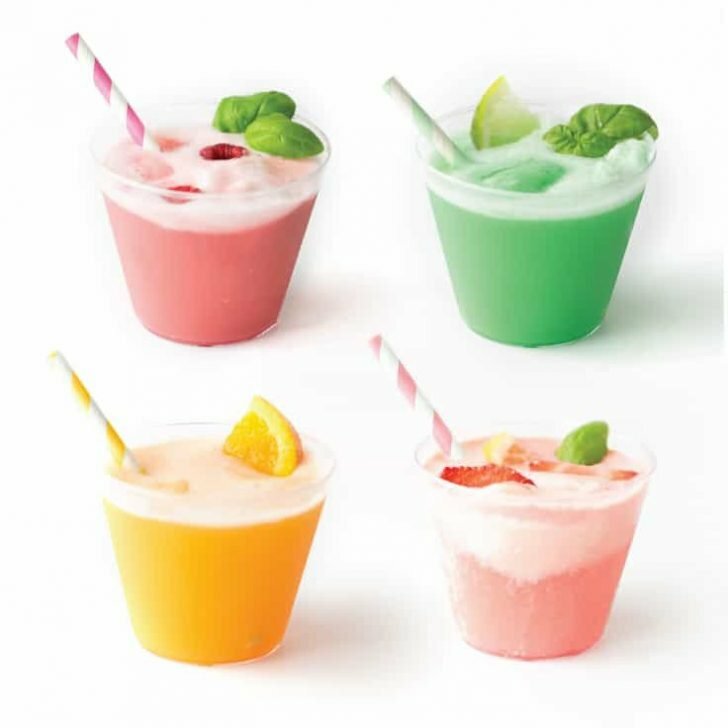 Between the black cherry, orange, lemon lime, and raspberry lime (my favorite one! ), this family of 8 will be getting spoiled with options. 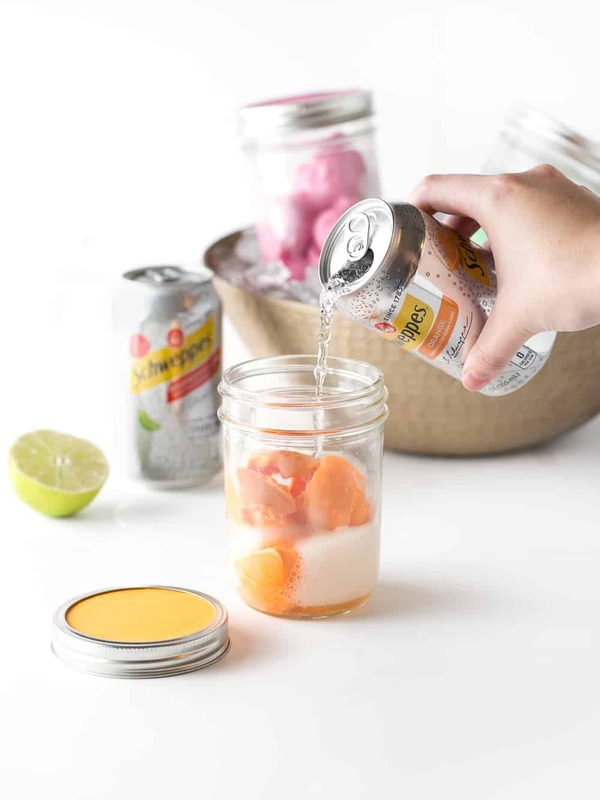 The option to create whatever flavor of punch they want…on the spot. 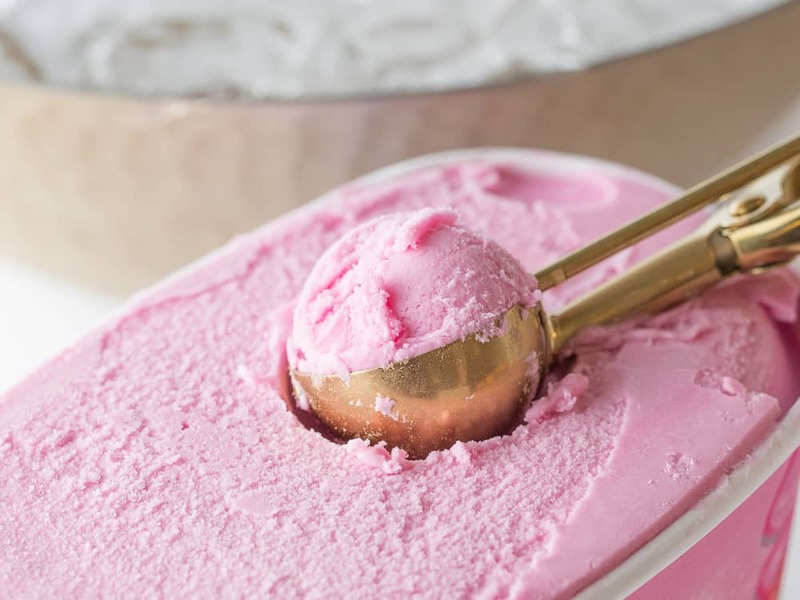 A few years ago, I saw an idea for an ice cream party where the host pre-scooped the ice cream beforehand and placed it into jars so that they didn’t have to mess with melting ice cream on the party table. 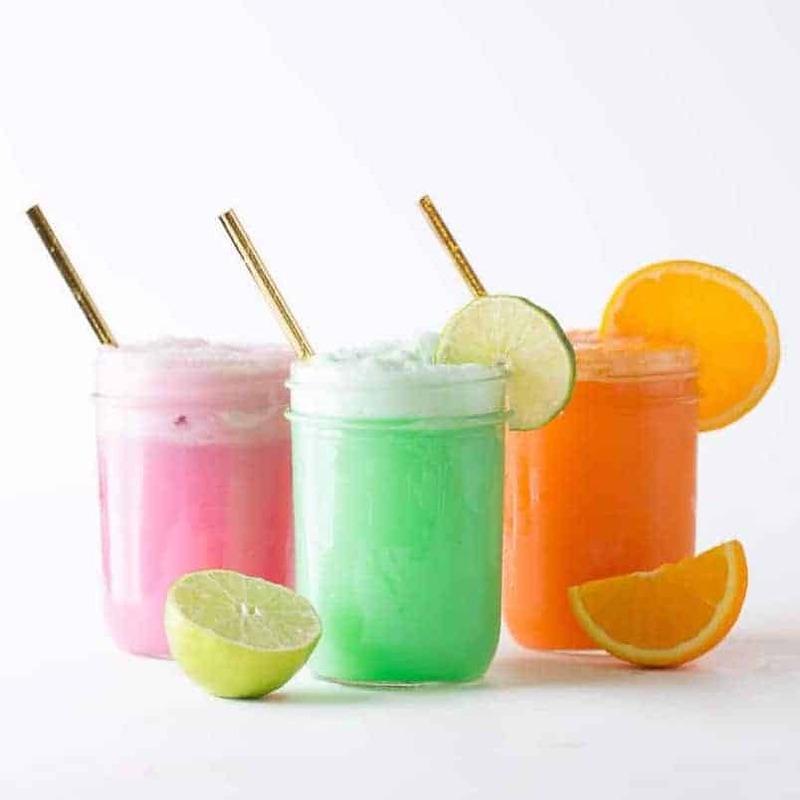 So I thought this would be the perfect way to serve up the sherbet punch for a crowd. 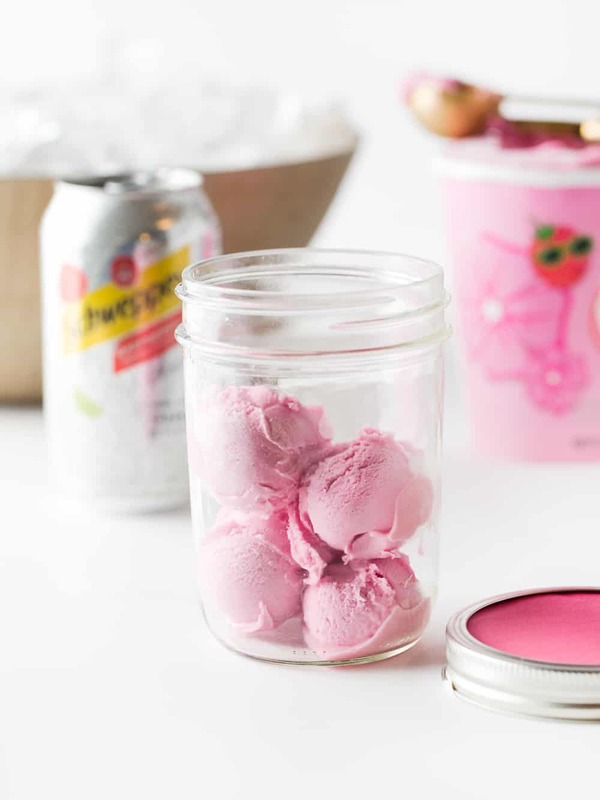 Simply scoop 3-4 scoops of sherbet into each mason jar and then place in a bowl of ice during the party. I also cut out some colored cardstock and taped it to the lids to dress things up a bit and personalize each jar. 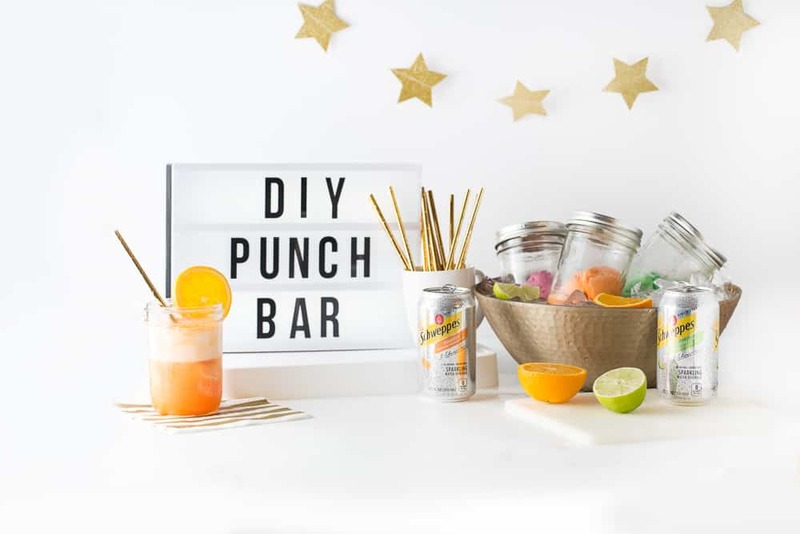 The fun thing with this DIY sherbet punch bar is that you can customize it to the different holiday. 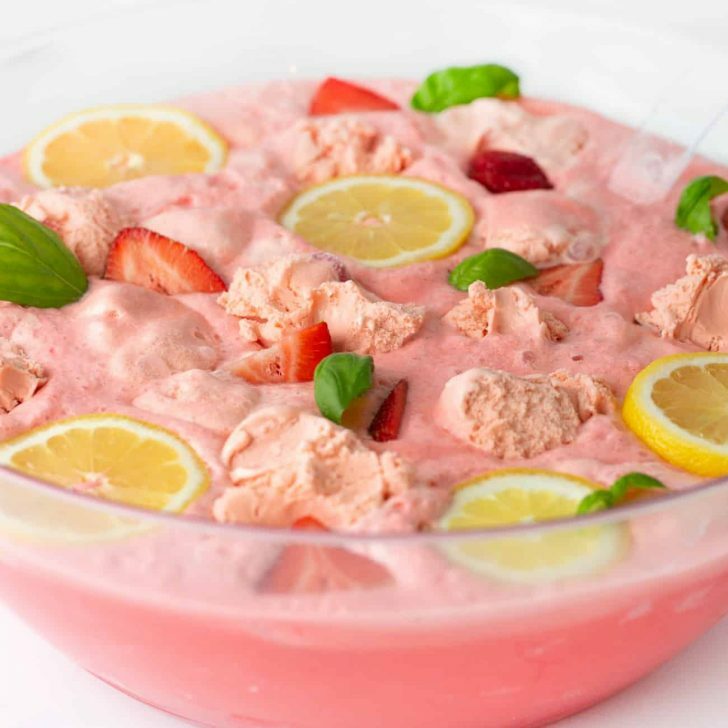 Serve orange for Thanksgiving or raspberry & lime sherbet for Christmas. 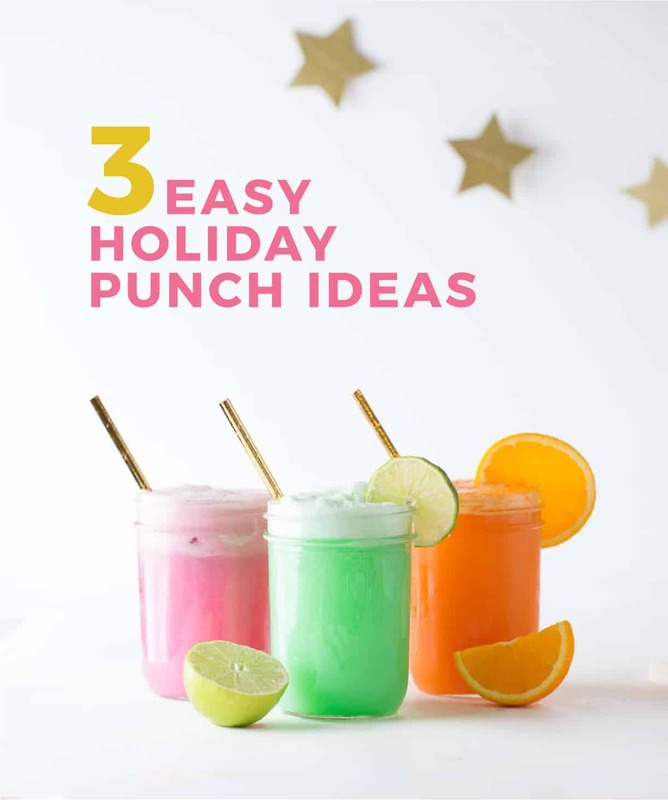 Call a sitter, grab all the ingredients at Walmart, invite some friends over, and kick back after a busy year with a glass of delicious sherbet punch. I mean, can we just look at those bubbles for a second?! 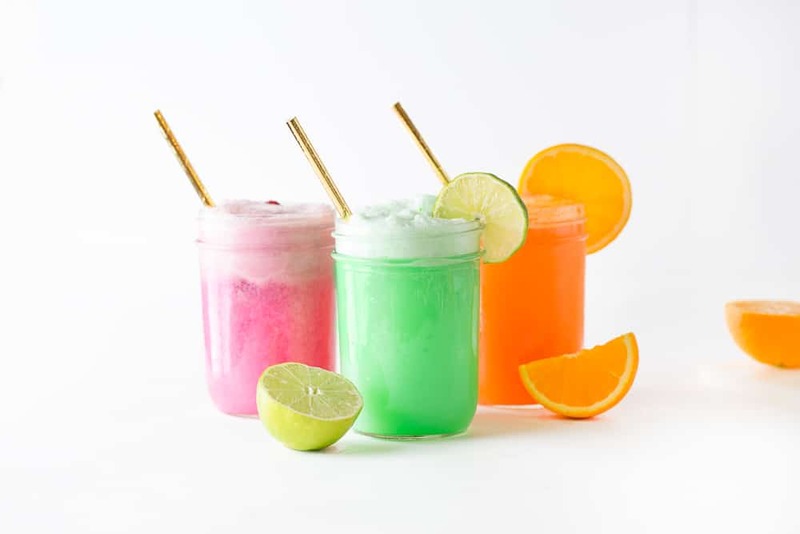 There’s something about adding a little carbonation to the sherbet that takes these drinks up a notch. 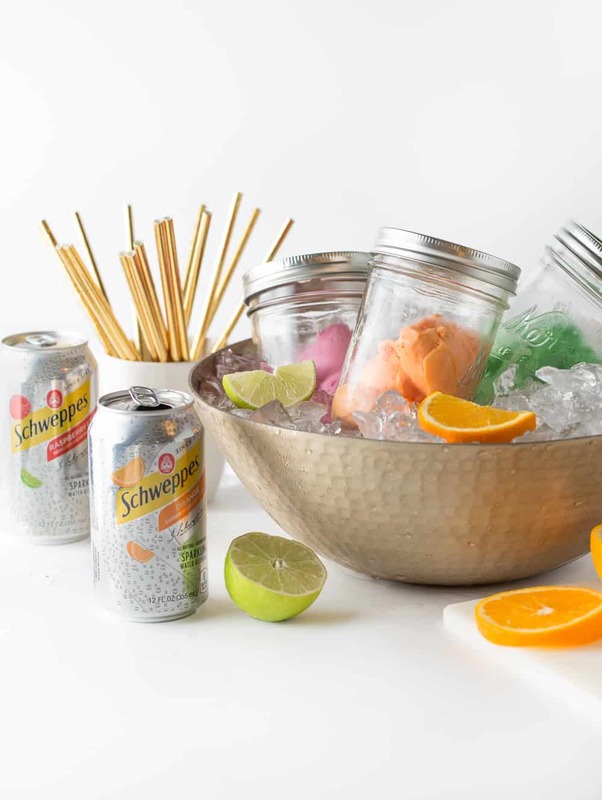 Wind down, invite the friends over, and whip up this easy DIY Sherbet Punch Bar with Schweppes Sparkling Water for a fun holiday party idea! 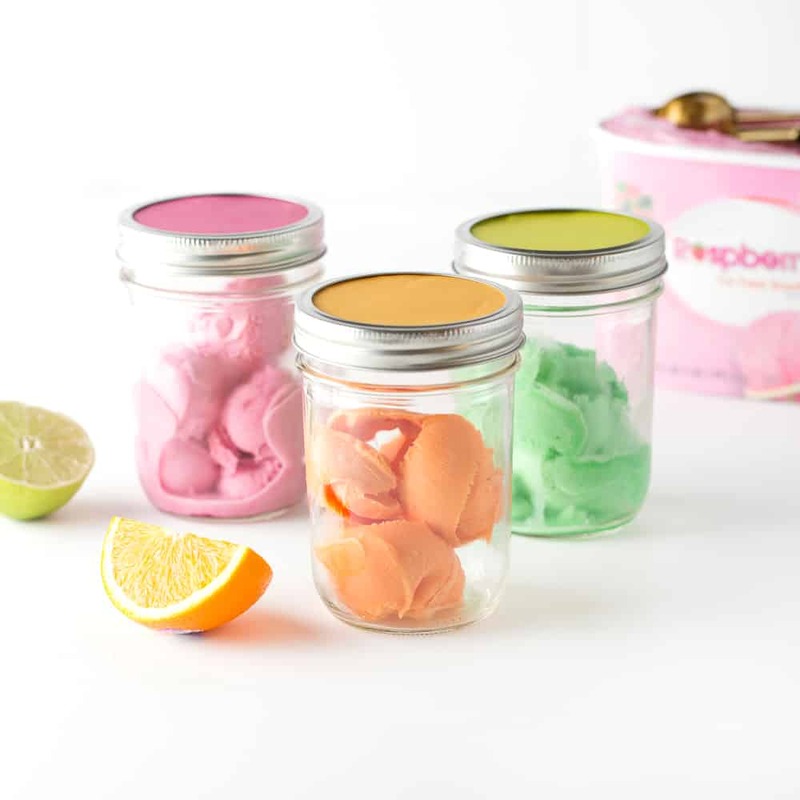 Scoop 3-4 scoops of sherbet into mason jars, close lids, and place in a large ice bowl. 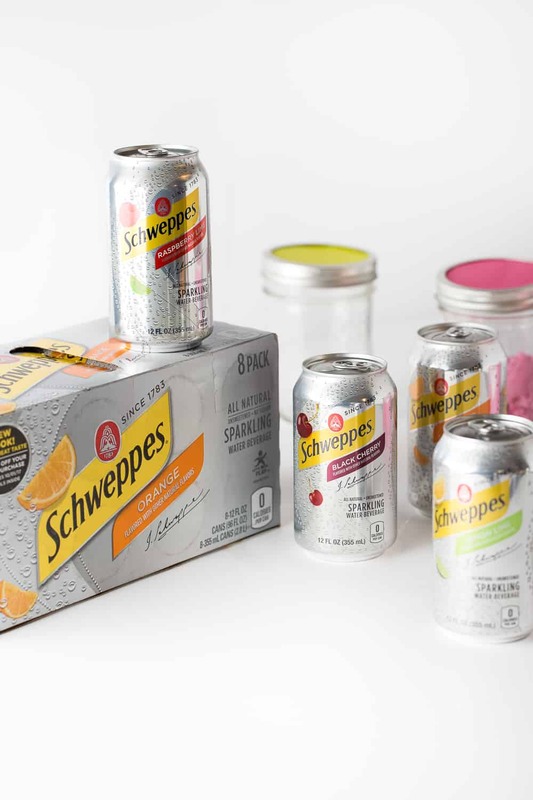 Service with Schweppes Sparkling Water in any of the 4 flavors: Raspberry Lime, Black Cherry, Lemon Lime, or Orange to allow guests to mix up their own sherbet punch. 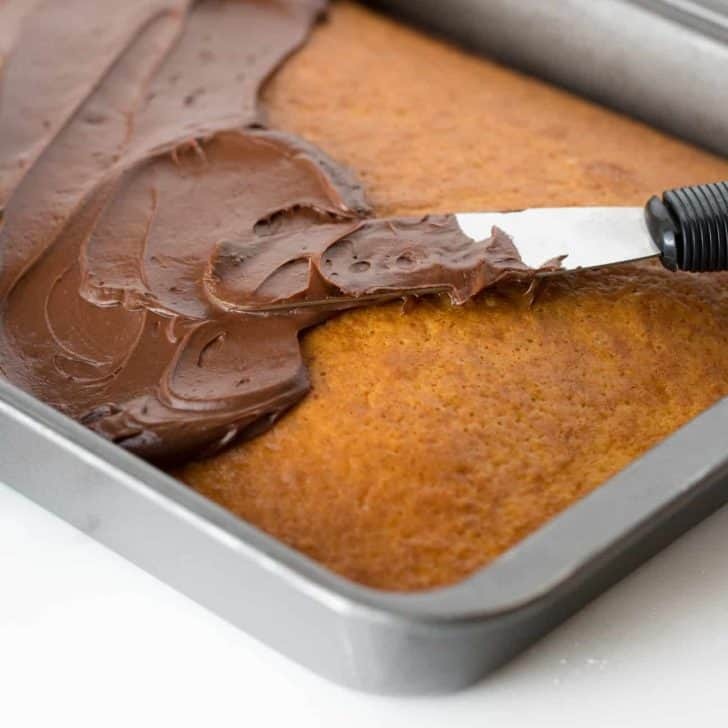 Do you have a must-make recipe for the holidays? Leave a comment below – I love hearing about other family’s traditions! 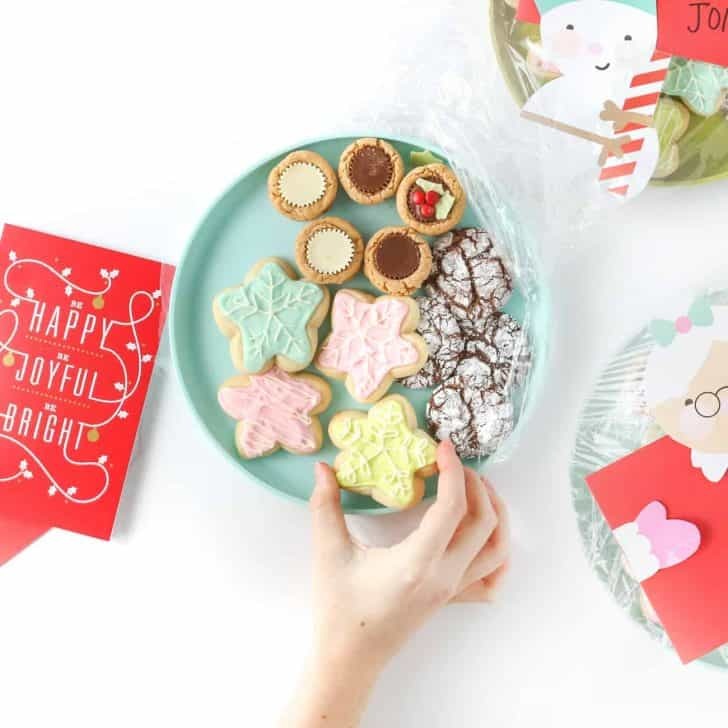 3 DIY Cookie Tray Ideas + Free Printables!